The system called Tantra has been always regarded as an esoteric and a secret way of spiritual practice, not accessible to the untrained one and to the common folk. The secrecy about the practice seems to consist in the noble outlook of life which the Tantra requires the seeker to entertain, a way of looking at things different from the one in which people are generally accustomed to see, interpret and evaluate things. The philosophy of the Tantra is based on the concept of a dual nature of everything. Nothing is single, but everything is bi-polar. These-called unity of things is only a form taken by a particular manner of the coming together of two forces, Siva and Sakti, or we may say the positive and the negative poles. According to the doctrine of the Tantra, the sorrow of life is caused by a bi-polar existence, a split of the one into two. To get back from duality to unity is the process of Tantra Sadhana. 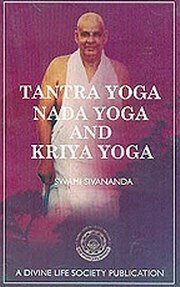 While this is the objective of every Sadhana, what is the specialty of the Tantra as distinct from other Sadhana in the achievement of this objective? The distinction is very subtle, not easily noticed. The great dictum of the Tantra is that desire can be overcome only by desire, even as the object can be overcome only by the object. The other aspect of this principle held by the Tantra is that " that by which one falls is also that by which one rises". This is the crux of the whole matter regarding the Tantra, which marks it off from other religious practices and forms of Sadhana. Why this practice is difficult and even dangerous, will be obvious from the nature of the doctrine, while conceding that the doctrine is perhaps highly rational and based on a deep psychology of human nature. Tantra Sadhana includes the recitation of Mantras, performance of rituals through Yantras and an adjustment of oneself to the particular degree of reality, which is the specific meaning of Tantra. The mysterious processes called Nyasa (Anga-Nyasa and Kara-Nyasa) are again inward techniques of feeling the object in oneself, the Deity in one's own being. All this would make it abundantly clear that the Tantra Sadhana is as highly scientific and precise, as it is difficult and dangerous. This is its specialty. Sri Xwami Sivananda, born on the 8th September, 1887, in the illustrious family of Sage Appayya Dikshita and several other renowned saints and savants, Sri swami Sivananda had a natural flair for a life devoted to the study and practice of Vedanta. Added to this was an inborn eagerness to serve all and an innate feeling of unity with all mankind. He is the author of over 300 volumes and has disciples all over the world, belonging to all nationalities, religions and creeds. To read his works is to drink at the Fountain of Wisdom Supreme. On 14th July, 163 he entered Mahasamadhi.